Carrie Simmons joined Texas Lobby Group in fall of 2014 and was named #1 “Rising Lobby Star” by Capitol Inside. Prior to joining TLG, Carrie started as a legislative aide in the Texas House of Representatives, and later as an account associate at Elizabeth Christian Public Relations and Affairs firm, Carrie was able to obtain the experience of passing, promoting and driving legislative solutions. In 2009, Carrie was hired as the Executive Director of the Texas House Republican Caucus. 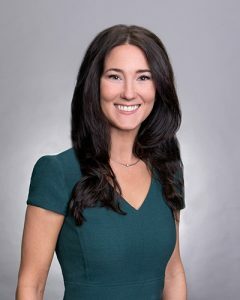 She provided legislative research and communication assistance to all 95 Republican Legislators in the Texas House of Representatives for over six years, three legislative sessions and multiple special sessions, providing a unique expertise. After the 83rd Legislative Session, Carrie joined forces with fellow female Republican leaders to start Red State Women PAC. Red State Women was created to engage, empower, and inspire women to become politically active within the Republican Party. Carrie holds a degree in Public Relations from the University of Texas at Austin.